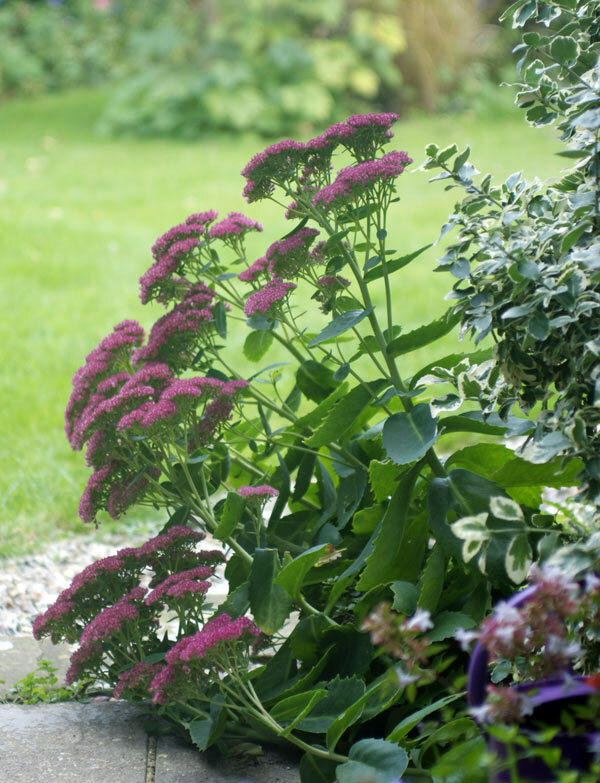 At this time of year, sedums are a wonderful addition to my cottage garden. 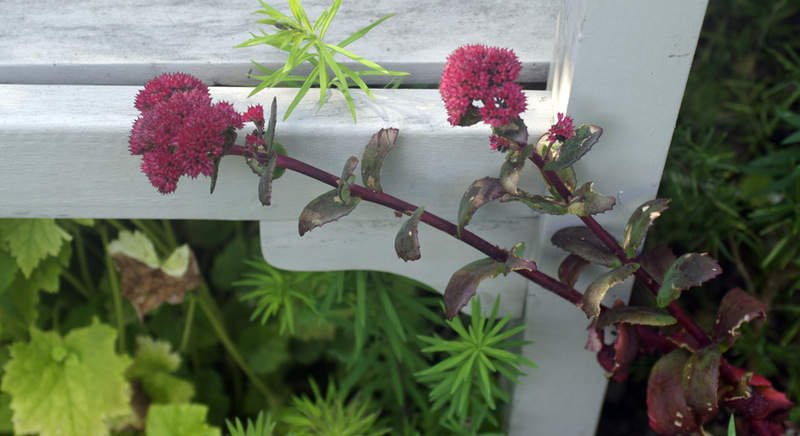 Their clumps of fleshy grey-green or dark red-brown leaves look good all year round, and in late summer their mop head flowers provide welcome splashes of rich colour in my borders and are a good source of nectar for the butterflies. 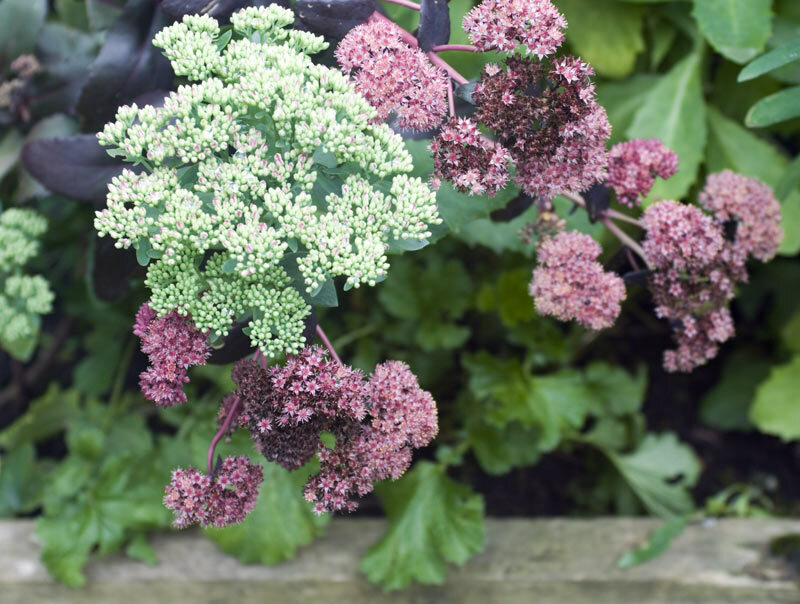 Their flower heads range in colour from deep velvet red of ‘Red Cauli’, and ‘Autumn Joy’ through numerous shades of pink to the fluffy white heads of Sedum spectabile ‘Stardust’. They seem to be balancing on top of the thick stalks that hold them, and sure enough their top-heaviness eventually causes mine to keel over; but by the time the stems fall and snap off, next year’s growth is already underway. 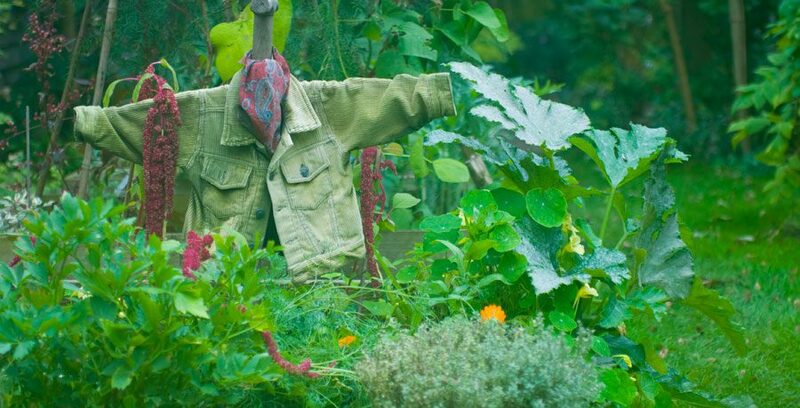 I am told that growing them in less fertile soil, in full sunshine or giving them the ‘Chelsea chop’ avoids the problem, but I don’t mind them flopping over – it is part of their charm, and if necessary I have an army of plant stakes ready to offer support.